Showplace of the Nation, eh? A one-story building and a shifty-eyed bird? Hey: if that's what Bugsy wanted to call it, then that's what it was. You got a problem with that? 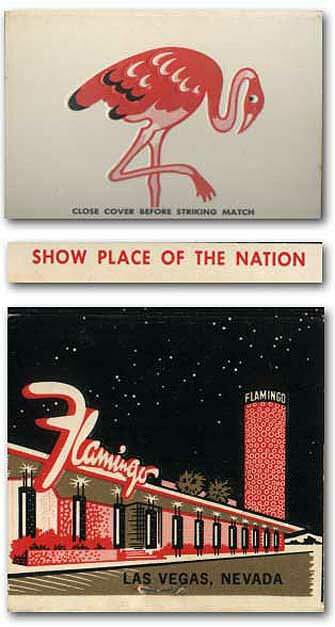 This Flamingo is long gone, replaced by a blunt big ugly thing with a neon sign that passes for historical, just because everyone recognizes it, and it hasn't been torn down yet.